How to Unlock iPhone without Apple ID - Official Solution! You must have heard about official iPhone unlock or people factory unlocking iPhones online. Is this real or is it just one of those scams? Apple identifies their iPhones using unique numbers assigned to them, called IMEI number. To see your device’s IMEI number, dial *#06#. Whenever your iPhone is engaged on some activity online, the Apple server checks your iCloud lock status and that of your SIM lock. Hence, it is impossible to unlock iPhones by jailbreaking them or a similar method. The only way to unlock an iPhone is to whitelist its IMEI number from both Apple and the carrier. The techniques explained in this article are alternatives, not official but they do not void your warranties. 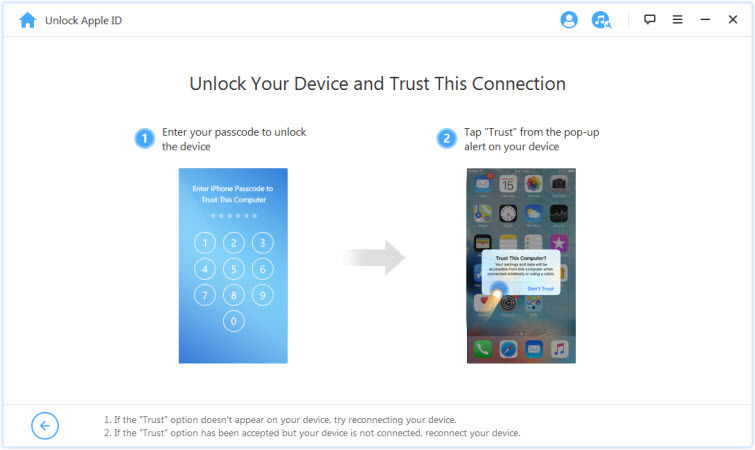 Part 2: What You Should Know Before Unlocking an iPhone? iMyFone LockWiper is the best program for removing Apple ID and iCloud account even if you don't have the password. This fantastic software packs impressive features, and it is almost too easy to use. Removes Apple ID from any iDevices devoid of password. Bypasses locked screen passcode for broken, cracked, disabled or unresponsive screen. Supports all kinds of iPhone screen lock like face ID, Touch ID, 4-digit/6-digit passcode, custom numeric passcode, etc. Easy to use. You do not need any tech skills to use it correctly. It works on all iOS versions, compatible with iPhone, iPad, and iPod touch. 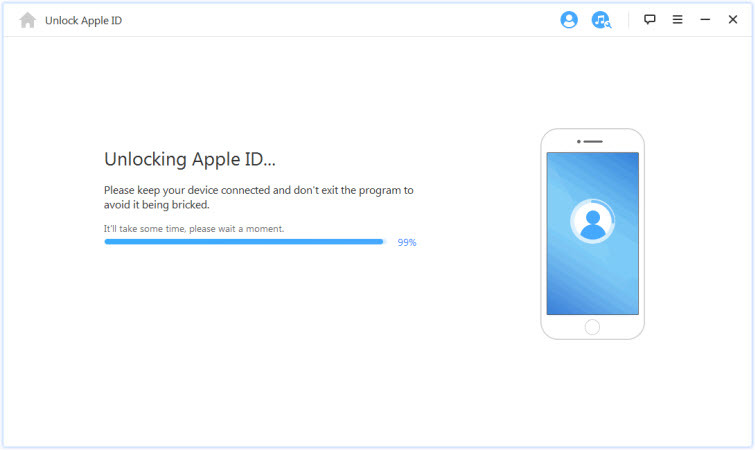 Step 1: Start the app on your PC and click “Unlock Apple ID” mode. Connect your iPhone to the PC via a USB cable, unlock the screen and tap "Trust" if you have never trusted the PC before. 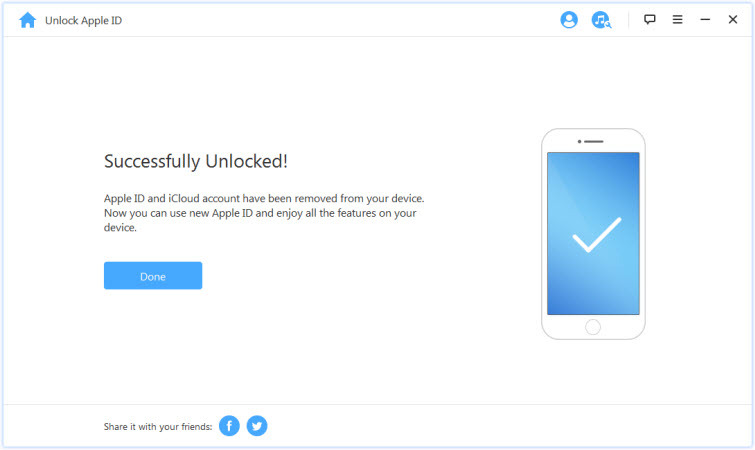 Step 2: Click on "Start to Unlock", the program will begin to remove Apple ID and iCloud account associated with your iDevice. It takes a few seconds for LockWiper to unlock your device, patiently wait for a moment. Note: LockWiper can immediately unlock your device only if "Find My iPhone" is disabled in the device, otherwise, you'll need to reset all setting on your iDevice before the unlocking process. What to Do before Unlocking? Before unlocking any iPhone, first, confirm that this is not a stolen device. Because your unlocking efforts will prove futile; it won’t work. iPhones that are reported stolen will not work in North America. Also, make sure that there is no iCloud lock on this iPhone or Activation lock. If the iPhone is not stolen and not iCloud or Activation locked as well, then you can go ahead to perform whatever unlock operation on it. Is It Legal to Unlock an iPhone? It is not illegal to unlock an iPhone anywhere in the world. However, bear in mind that carrier would not want you to do that, especially if the iPhone in question is still under contract. Under-contract phones still belong to the carrier, until they are paid off completely. An unlocked iPhone is one that is not under any contract with a carrier or phone company. It is advisable to always go for unlocked iPhone, or turn to official iPhone unlock if you have a locked iPhone because you will be able to use them with any carrier for which you have a compatible service plan, and for frequent travelers, it is easy to switch carriers when on trips. iPhones that were tied to a carrier but paid off are also unlocked iPhones. What Are the Advantages of Having an Unlocked iPhone? As stated previously, the primary benefit is the flexibility to use any carrier you choose to use. Unlocked iPhones will work with any SIM card that is inserted into them. You can choose to use a carrier with a better deal and switch to another carrier later. Further, if you travel, with an unlocked iPhone, you can simply insert the SIM of a local carrier and use there instead of roaming which can be extremely expensive abroad. Confirm that your current carrier allows unlocking. If they don’t, it is impossible to unlock the iPhone. Remove the current SIM card and insert the SIM card of the new carrier. Restore the iPhone to factory settings. Contact your carrier again to confirm if they have unlocked the iPhone. Restore your iPhone from your backup. No one wants to be locked out of their phones. The rumors you have heard about official iPhone unlock are true. Also, you can either use iMyFone LockWiper or the other methods discussed. So, if for some reason you get locked out of your iPhone, do not fret; you can unlock it quickly, and we recommend that you do this using iMyFone LockWiper. Try it free and download it here.